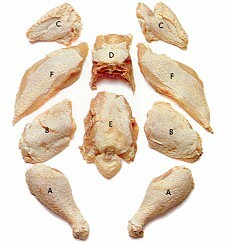 Chicken Recipes are a vital part of any serious cook's recipe collection. According to the cordina website, chicken consumption has increased sixfold from 1965 to today. Approximately 33 per cent of all Australians eating chicken do so at least three times a week, with chicken now rivalling beef in the Australian diet. Interestingly, all chicken sold in Australia is grown in Australia. Importing raw chicken meat is banned. 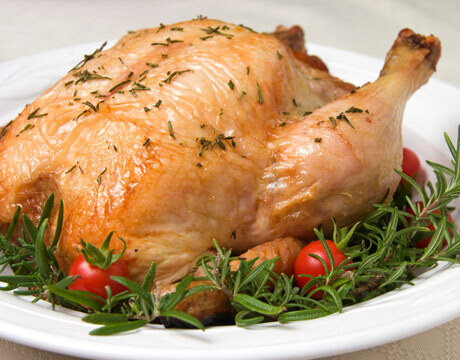 So when you choose YOUR chicken ingredients at the supermarket, you can rest assured that you're buying Australia-made AND you're cooking meals that is nutritious, and low in fat and a significant source of daily requirements of protein, niacin, B6, B12, vitamin D, iron and zinc. Because we LOVE our Chicken in Australia - I'm going to include many different chicken recipes - some from my family hand-me-down recipes; some from friends and neighbours. I hope you find them interesting, and grow to love them for your dinner parties, barbeques and family feasts. Click here to see other Viewer's Chicken Recipes, or to share your own....c'mon, don't be shy.